Wrap-Up -- Wednesday’s triple-overtime thriller in the final game before the All-Star Break had a little bit of everything: thrills, chills, spills, monster individual performances and historic statistics. But when the smoke finally cleared, the only thing that was missing was a ‘W’ for the home team – with Brooklyn outlasting the Wine & Gold, 148-139, in an epic nail-biter at The Q.
Jordan Clarkson put on an awesome scoring display after the game went into the extra periods, but Brooklyn’s D’Angelo Russell was just as dominant. Clarkson scored 18 of his season- and career-high 42 points after the fourth quarter, netting 11 of those in the third overtime period. But Russell had the last laugh – notching 24 of his 36 points after the fourth, including 14 points in the final overtime session. In what seemed like an entirely different game, the Cavaliers led by 10 early in the third quarter. But the Nets came back to tie the game at the end of three. The fourth quarter featured eight ties and seven lead-changes before both teams went to the extra-session tied at 109, with Russell tying the game on a layup with just over a minute to play in regulation. Collin Sexton provided the heroics in the first overtime period – streaking down the lane to score on a finger-roll with 2.8 to play, sending the contest to another five minutes of free basketball. In the second OT, Marquese Chriss drilled back-to-back triples, turning a three-point Cavaliers deficit into a three-point edge. The Wine & Gold maintained that three-point lead when Clarkson canned a pair of free throws with 3.8 to play. But on Brooklyn’s next possession, DeMarre Carroll stepped back and splashed home a three-pointer at the buzzer to tie the game at 128 and keep the affair rolling. But the Cavaliers would begin running out of healthy bodies in the final overtime period – with Larry Nance Jr., Chriss and David Nwaba fouling out earlier and Cedi Osman and Brandon Knight on restricted minutes. Russell was simply too much in that final session – notching 14 of Brooklyn’s 20 points as the Nets built up an eight-point lead and held on to take the victory. Marquese Chriss tallies a season-high 24 points against the Nets. The game itself was just the third triple-overtime game in franchise history and the 139 points was the second-most ever scored by the Cavaliers at Quicken Loans Arena. The Cavaliers hadn’t had a 30-point scorer all season, but Clarkson took care of that on Wednesday night – going 16-for-34 from the floor, including 7-of-17 from beyond the arc, adding eight boards, five assists, a steal and a block. His 42 points are an all-time scoring record for a Cavalier reserve. Collin Sexton followed up with 24 points on 10-of-22 shooting to go with six boards and five assists. 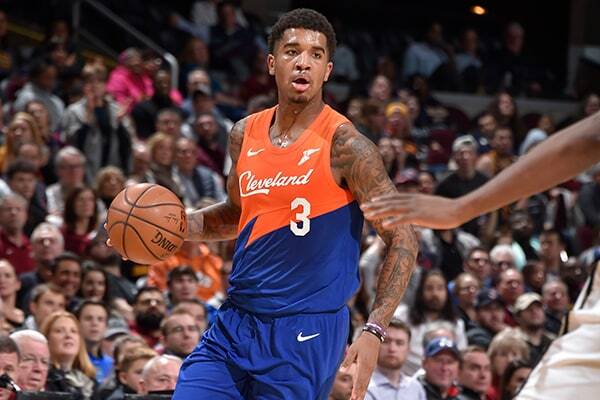 Marquese Chriss notched a season-high 23 points as part of a Cavaliers second unit that went off for a season-best 83 points in the loss – going 9-for-16 from the floor, including 3-of-6 from beyond the arc to go with seven boards and a pair of steals. Cedi Osman rounded out the Cavaliers in double-figures, finishing with 13 points in 25 minutes of work after returning from a three-game absence with an ankle injury – going 5-of-10 from the field to go with five boards and three helpers. The Cavs also got big performances from Larry Nance Jr. – who barely missed his seventh straight double-double, finishing with eight points and a game-high 14 boards – and Matthew Dellavedova – who led both clubs with 13 assists. Both teams canned 18 triples on the night, but Brooklyn took almost twice as many free throw attempts (34) as the Cavaliers (18). The Nets featured eight players in double-figures – led by Russell’s 36 points and former Cavalier Joe Harris following up with 25. Turning Point -- In a game that goes to three overtimes and features 16 ties and 23 lead-changes, it’s not easy to define a specific turning point. But most likely, the small burst Brooklyn got at the beginning of the third OT is a good place to start. D’Angelo Russell started the scoring in that session, but Jordan Clarkson gave Cleveland the lead back immediately on a three-pointer. Russell came right back and drilled a 16-footer to give the Nets the lead right back. From there, however, the former Ohio State standout simply took over – going on a personal 7-0 run to put the Nets up eight and give themselves enough room to hold on for the victory. By the Numbers – 54 … field goals made by the Cavaliers on Wednesday night, most ever at Quicken Loans Arena. Wednesday’s contest was the seventh time in the history of the arena that the Cavs have topped the 130-point plateau. "I just think I’m blessed to be able to go out there and make the most out of it, being able to play basketball. I’m just blessed to have this opportunity that the coaches are willing to put me in the game and trust that I can make a play and that I can try to help the team win. Up Next -- With Wednesday night’s frustrating loss, the Cavaliers close out the unofficial first half of the season with a 12-46 mark. Cedi Osman will play in the Rising Stars Challenge on Friday night in Charlotte, but the rest of the squad gets an eight-day break that gives them until next Thursday to gear up for the homestretch – taking on the Suns on February 21 at The Q. Cleveland welcomes two more Western Conference opponents – the Grizzlies the following Saturday and the Blazers on Monday – before closing out the month on the final day of February at Madison Square Garden. 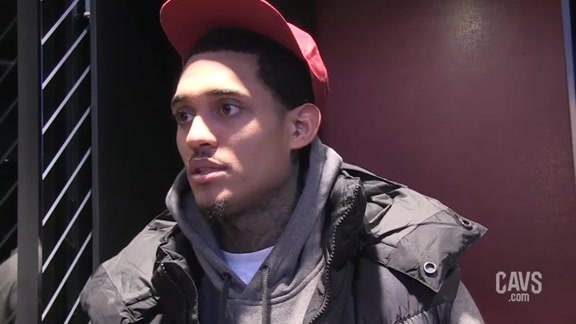 Cavaliers guard Jordan Clarkson spoke with the media following Wednesday's 3OT loss to the Brooklyn Nets at Quicken Loans Arena. 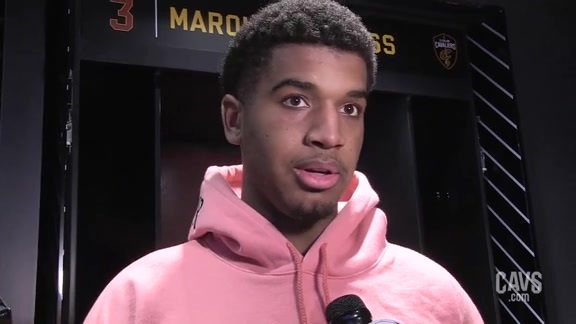 Cavaliers forward Marquese Chriss spoke with the media following Wednesday's 3OT loss to the Brooklyn Nets at Quicken Loans Arena. 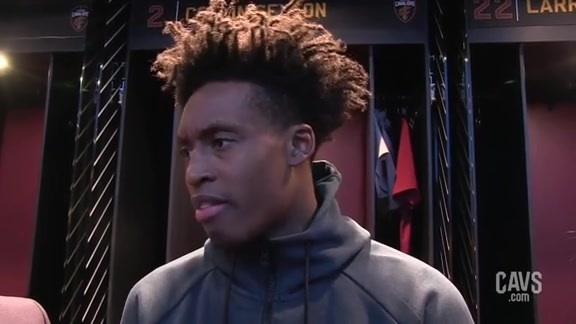 Cavaliers guard Collin Sexton spoke with the media following Wednesday's 3OT loss to the Brooklyn Nets at Quicken Loans Arena. 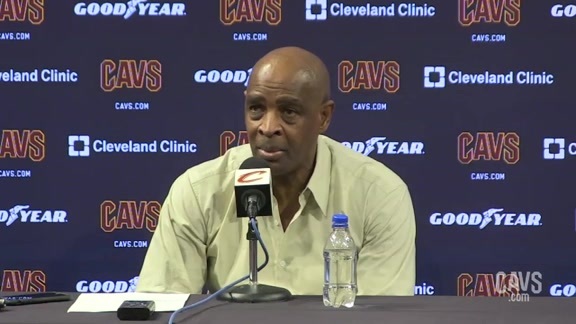 Cavaliers Head Coach Larry Drew spoke with the media following Wednesday's 3OT loss to the Brooklyn Nets at Quicken Loans Arena. 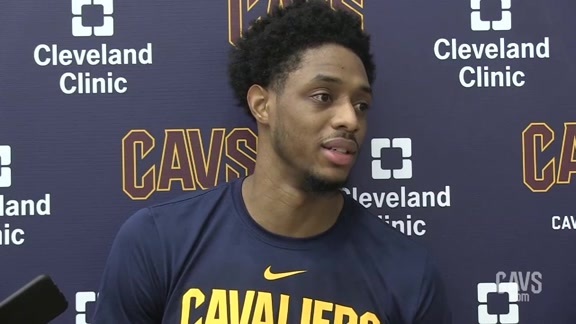 Cavaliers guard Brandon Knight spoke with the media prior to Wednesday's shootaround at Cleveland Clinic Courts as the Wine & Gold prep for the Brooklyn Nets.